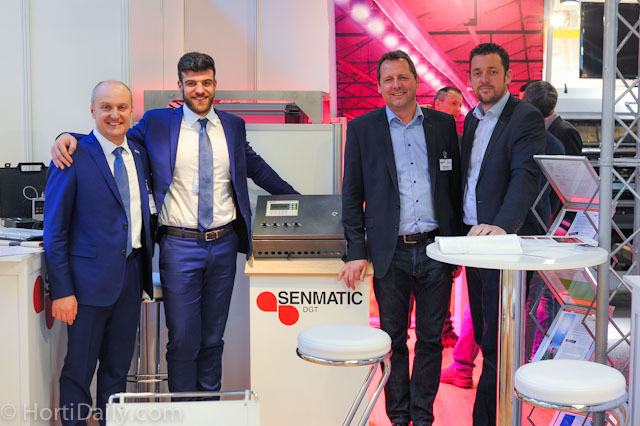 Cesare Ghizzi and Mateo Lucchini from Idromeccanica Luchinni together with Morten Hjorth and Thomas Rubaek of Senmatic. 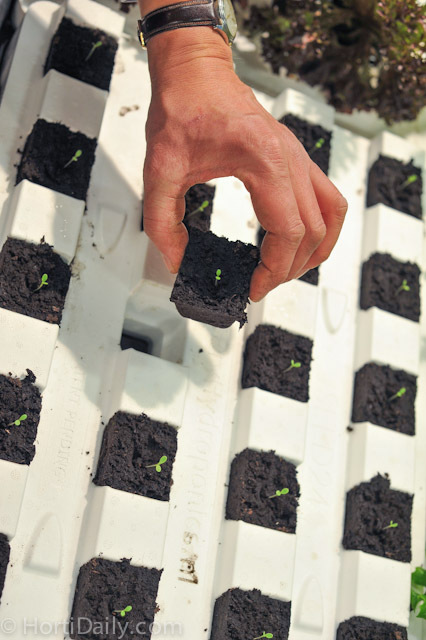 The new Senmatic Logic Climate Control is specially designed for use in simple, low cost tunnel greenhouses. 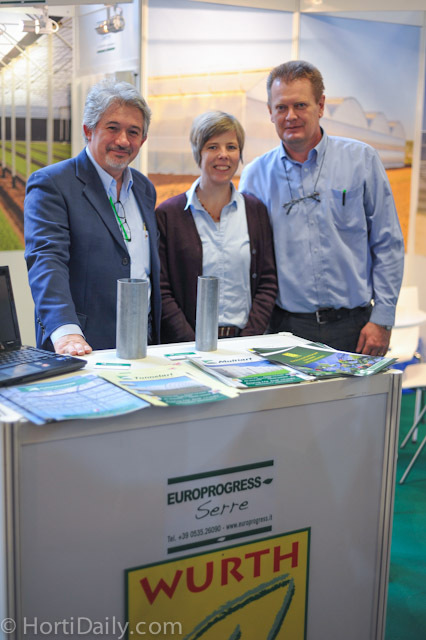 The team of Europrogress; an Italian greenhouse manufacturer that is operating worldwide. 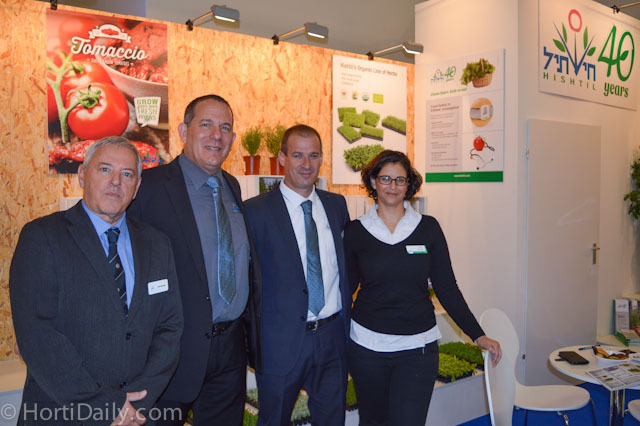 From left to right: Franco Limbarino, Bettina Helms (Wurth Pflanzenschutz)and Jean Pierre Lejeune. 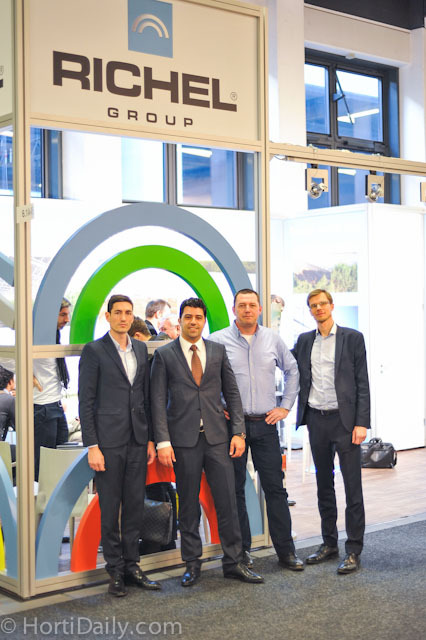 After visiting IPM Essen, Rob Vandersteen and Andrew van Geest of Zwart Systems Canada, paid a visit to Fruit Logistica in Berlin. 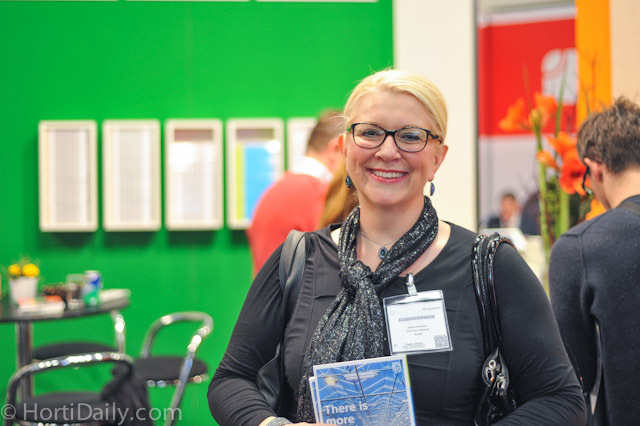 Marion Kohler of horticultural insurance company Gartenbau Versicherung. 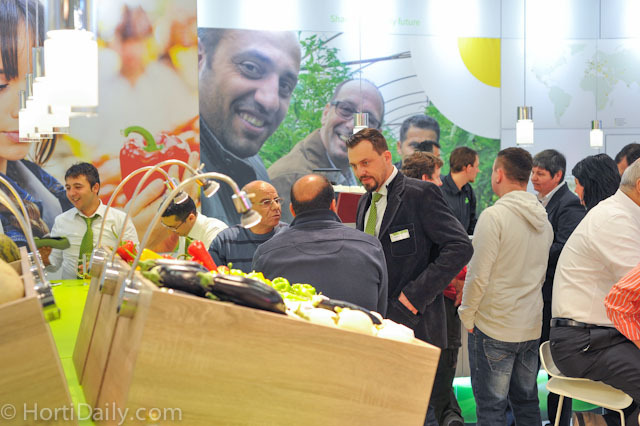 HerkuPlast Kubern GmbH were exhibiting at Fruit Logistica for the first time. 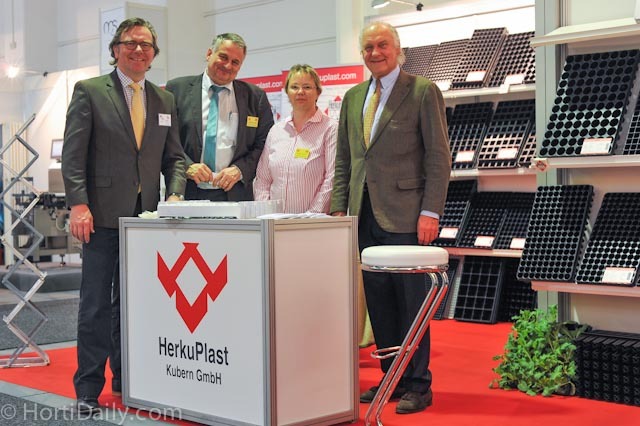 From left to right; Alfred Boot, Bernhard Aichele, Sabine Zander and Jürgen Kubern. 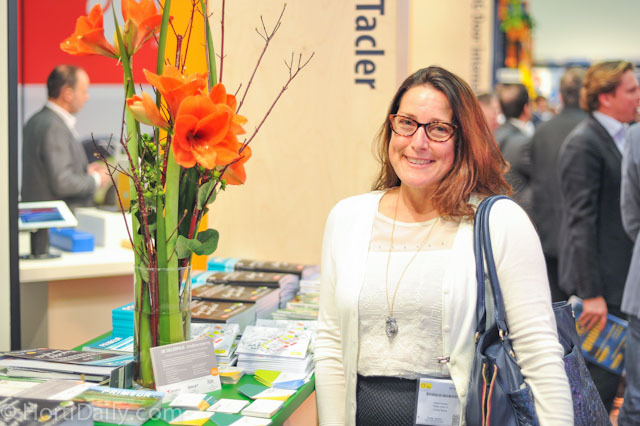 We spotted marketing manager Helen Aquino of Village Farms at the trade show floor. 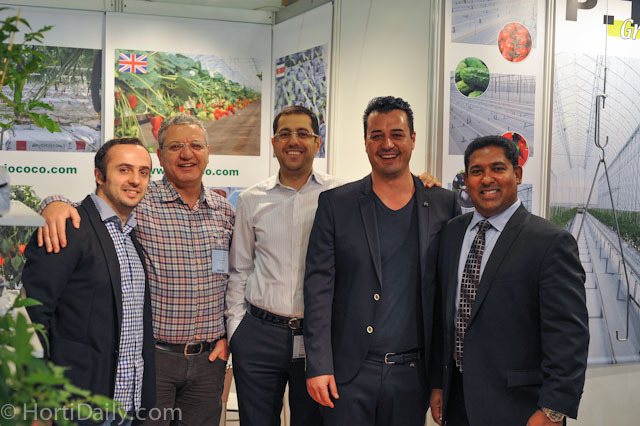 Brice Richel, Rufat Mammadov (Grow Group Azerbaijan), Jean Christophe Schneider (crop adviser with KS-AGRA Consult) and Nicolas Spassky (sales anager Richel). 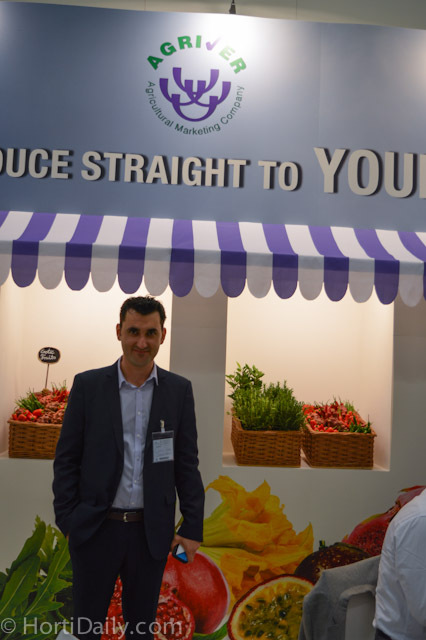 All the way from Canada: Jordan Kniaziew from Orangeline Farms, a year round family owned grower and marketer of specialty greenhouse produce in Leamington. 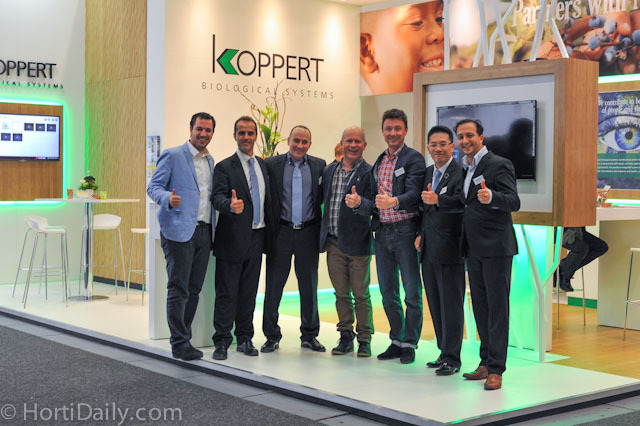 A very international selection of team members from Koppert Biological Systems. 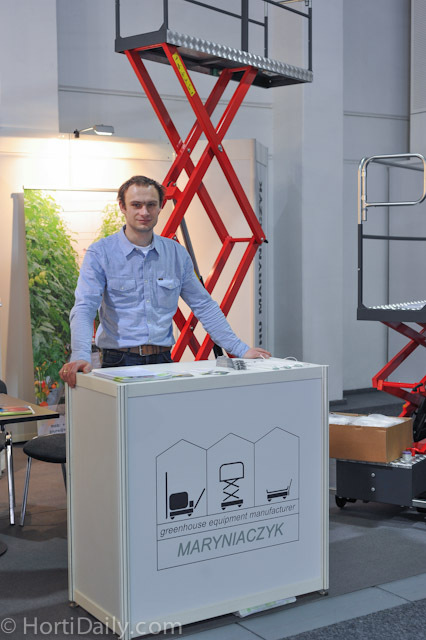 Mateusz Maryniaczyk is a Polish manufacturer of greenhouse automation and trolleys. 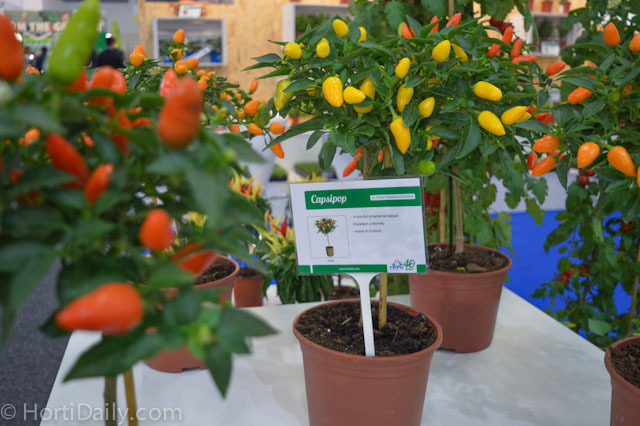 "Yvo Lens of Gautier Seed with Carpenter; "Carpenter is a tomato on the vine that has all of the features a grower can find in the common offers from the competition, but there are a few things extra; a terrific taste and remarkable presentation and shelve life. 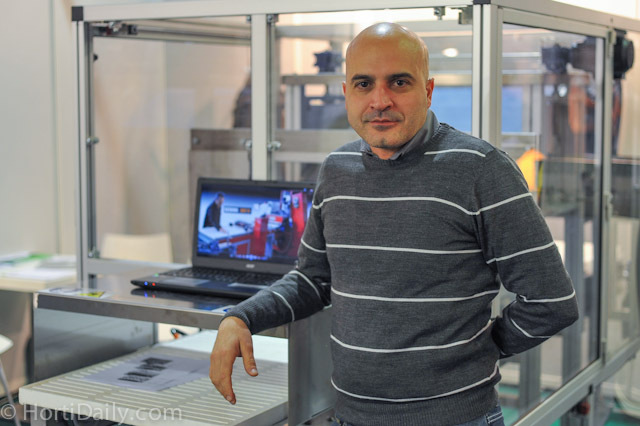 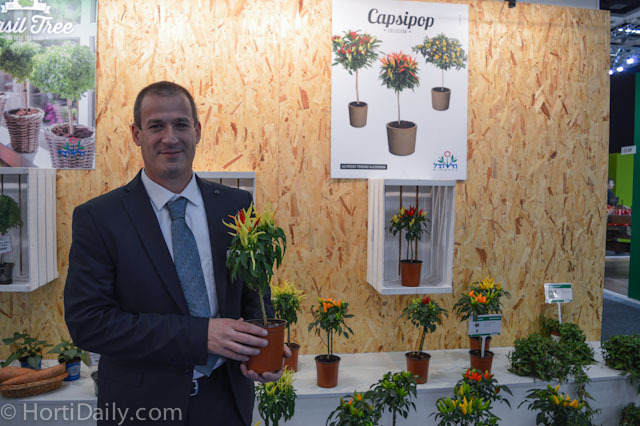 These are two things that usually do not go together with a production of more then 70 kilograms per square meter, but with Gautier they do." 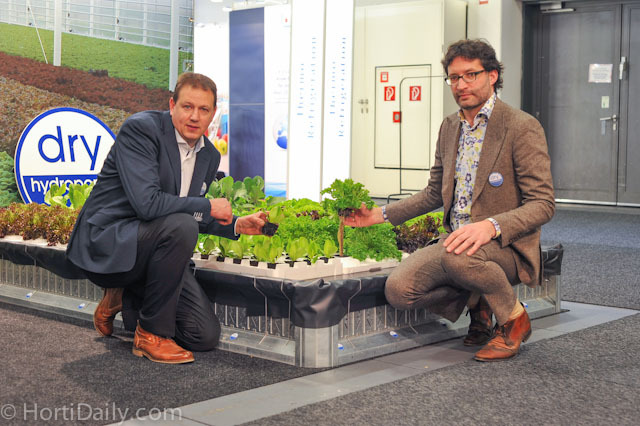 Jiffy's Roelof Drost and Arjen van Leest with the new PreGro concepts on display. 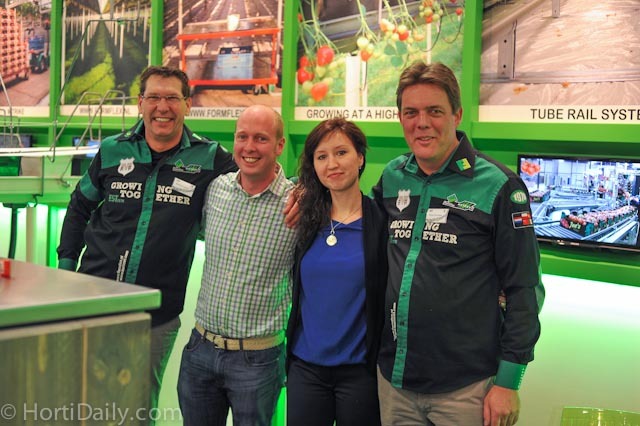 Tom de Smedt from greenhouse cover manufacturer Hyplast was visiting the Fruit Logistica. 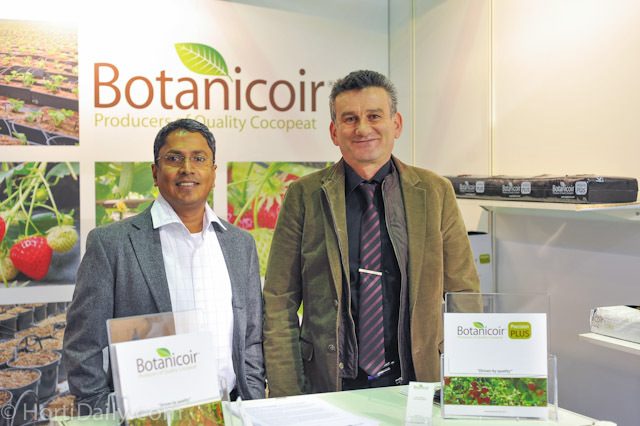 Kalum Balasuriya and Onder Ozansoy of UK coir substrate supplier Botanicoir at the pavilion of the CHA. 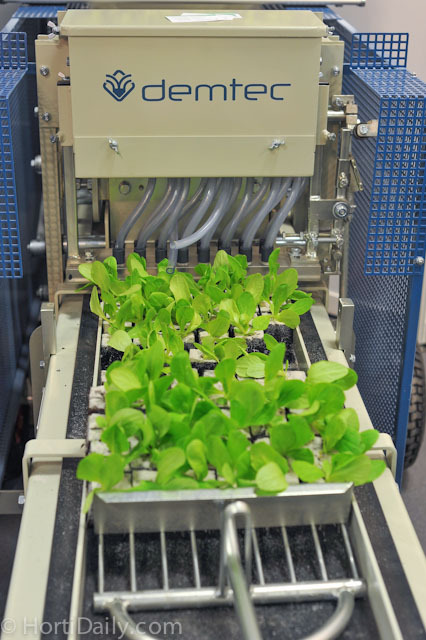 Pot maker and seeding line from Demtec. 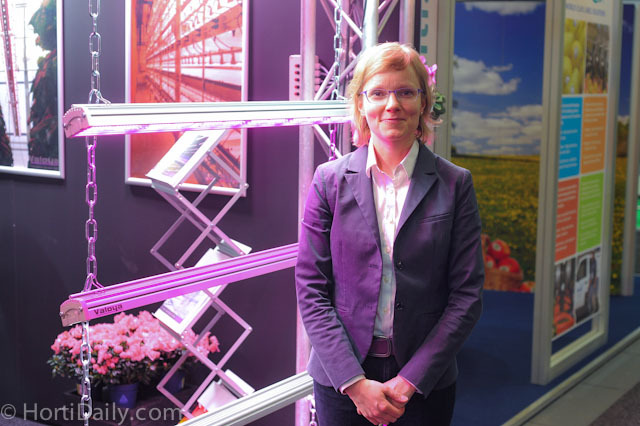 Titta Kotilainen is the research manager at Valoya. 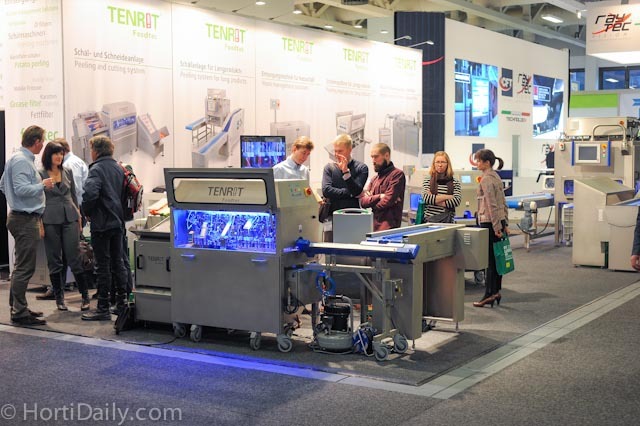 Many post harvesting processing lines on display at Fruit Logistica. 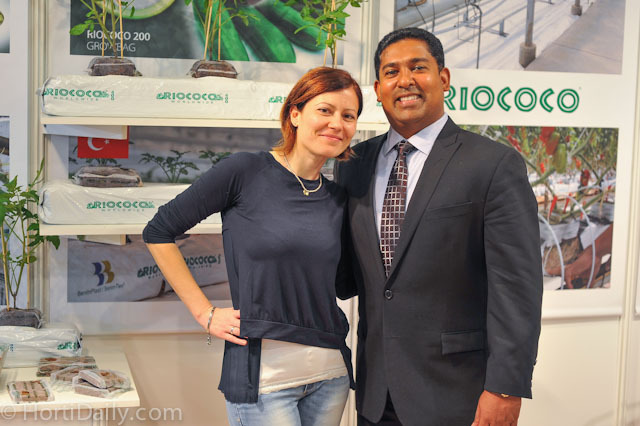 Martina Perego of P-TRE together with Shan Halamba of Riococo. 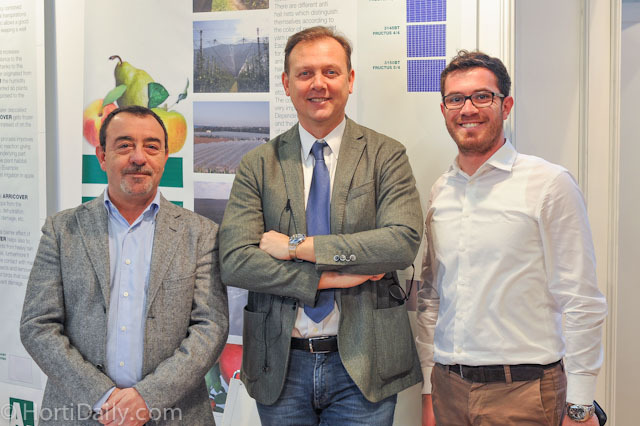 Aldo Maggi (Arrigoni), Luigi Pezzon (PATI) and Giuseppe Netti (Arrigoni). 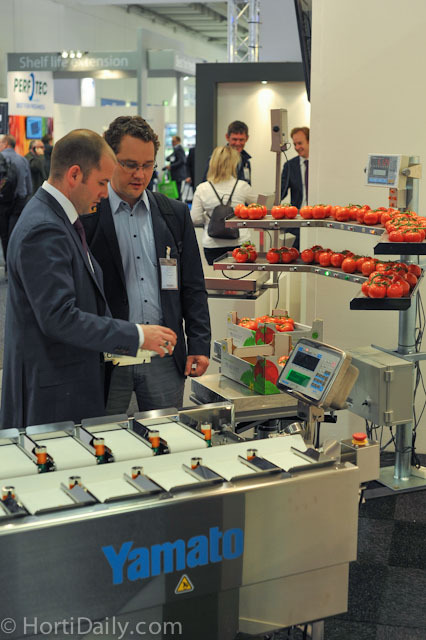 Fruit Logistica offers many exhibitors of post harvesting and processing machines. 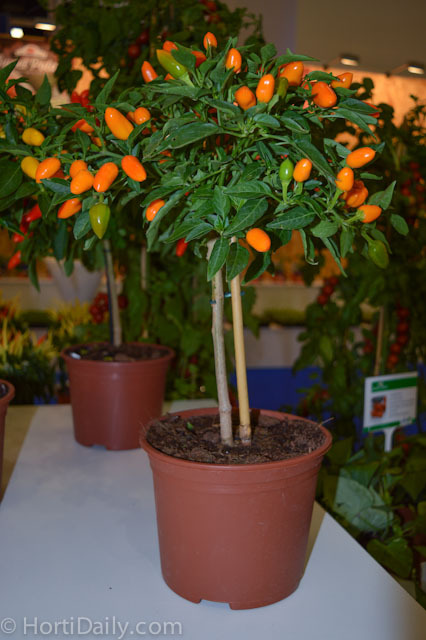 Nonetheless, the amount with exhibitors from the greenhouse horticulture sector is increasing. 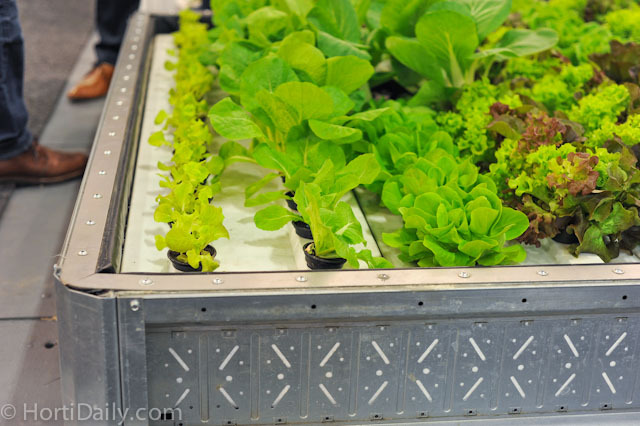 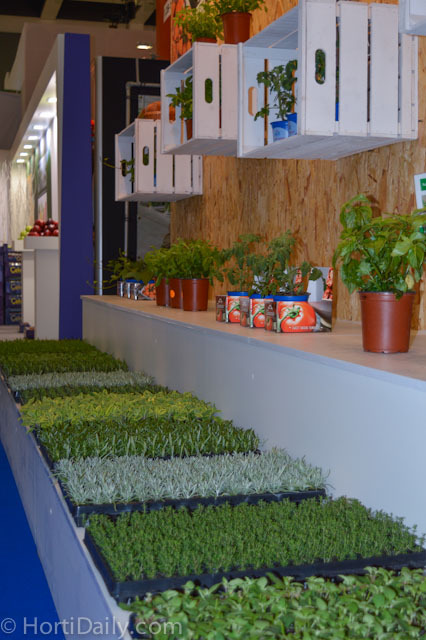 Dry Hydroponics have updated their system with a propagation system. 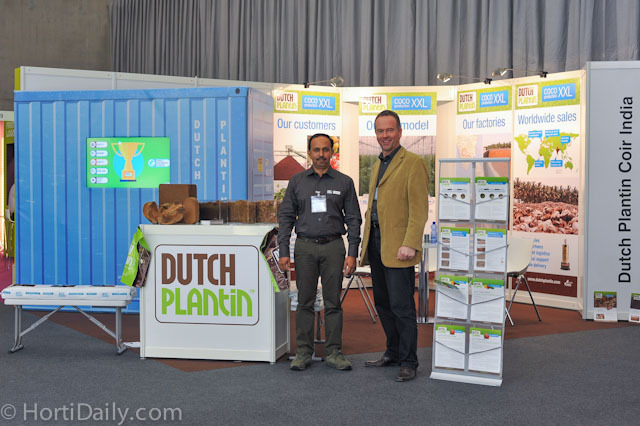 Siby Joseph and Wim Roosen of Dutch Plantin in the City Cube hall. 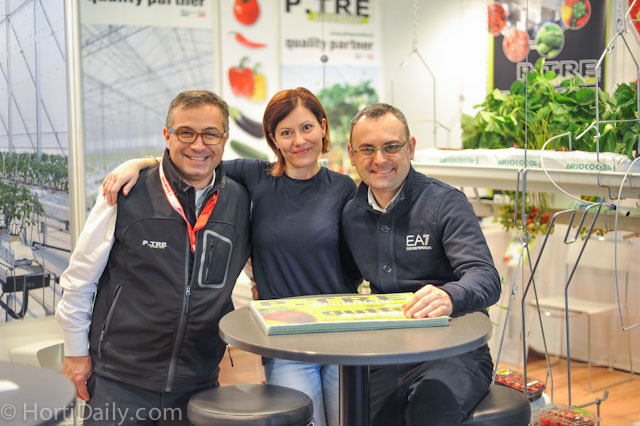 P-TRE's Michele Pavano, Martina Perego and Gabriele Roncaletti. 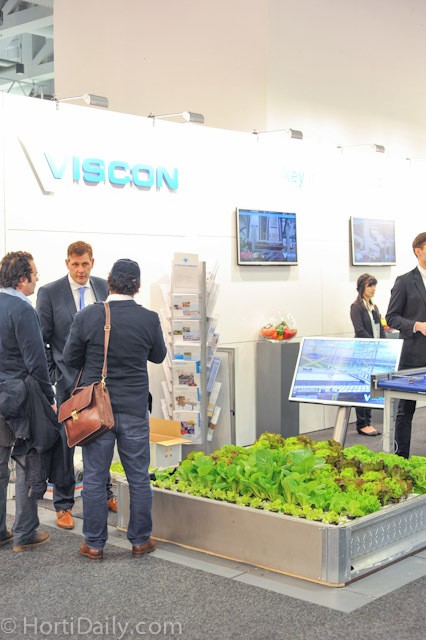 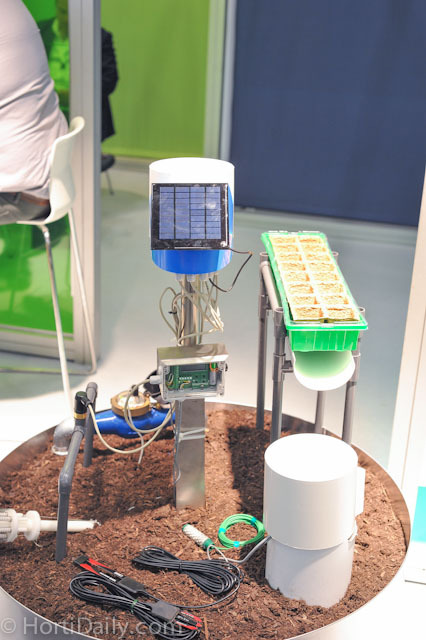 Viscon showcased their new hydroponic system. 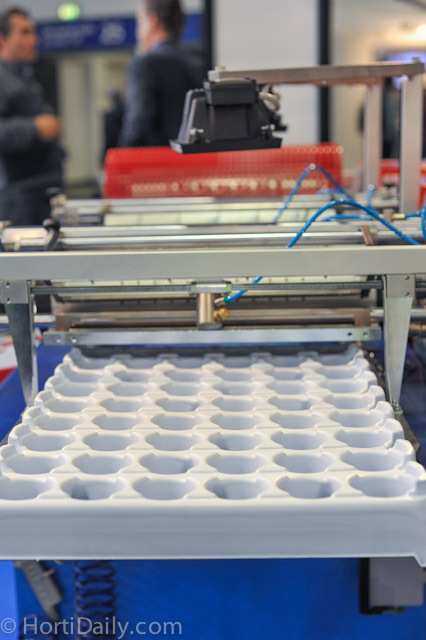 The new floaters from Viscon. 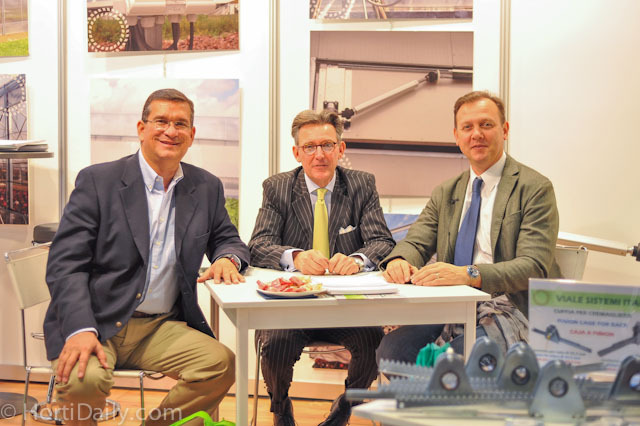 Dutch organic grower Ron van Dijk of GroenLand Organics together with Vincent van den Dool and Maickel Grune of TC vd Dool Greenhouse renovation and lifting. 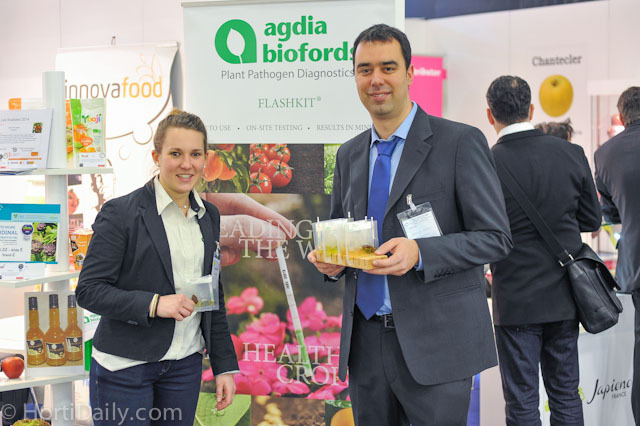 Marcos Amato and Lucie Crouzilles of Agdia Biofords. 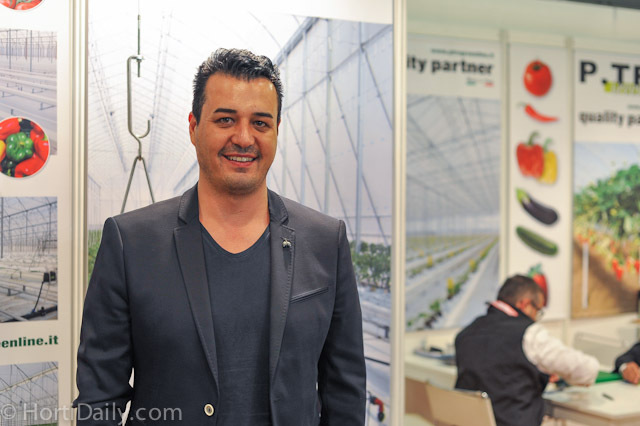 Mehmet Sait ARTCAN greenhouse development. 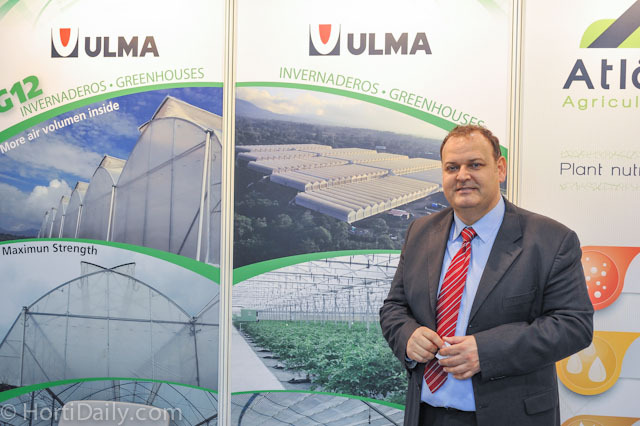 Vaceslav Miller of Union Greenhouse Lighting. 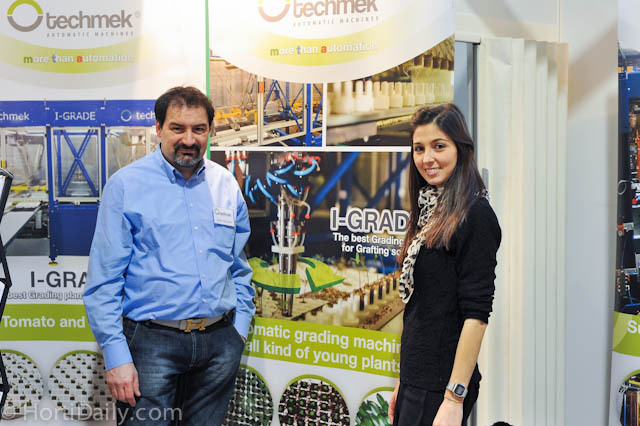 Aldo Maggion and Silvia Frassetto of Techmek Greenhouse Mechanisation. 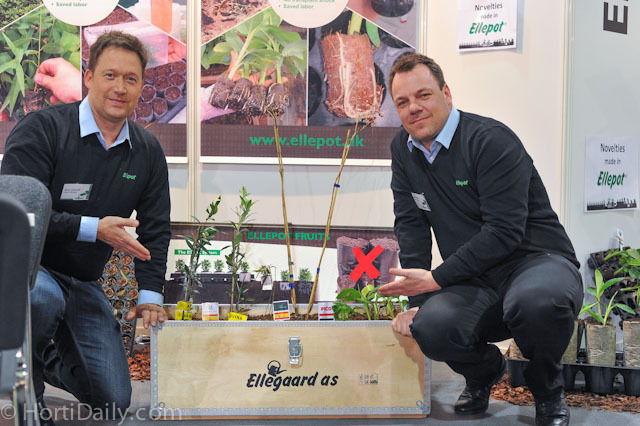 Jan Pedersen and Brian Schmidt of Ellegaard. 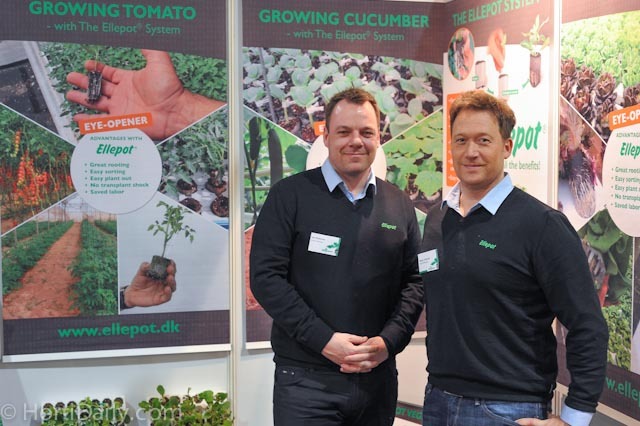 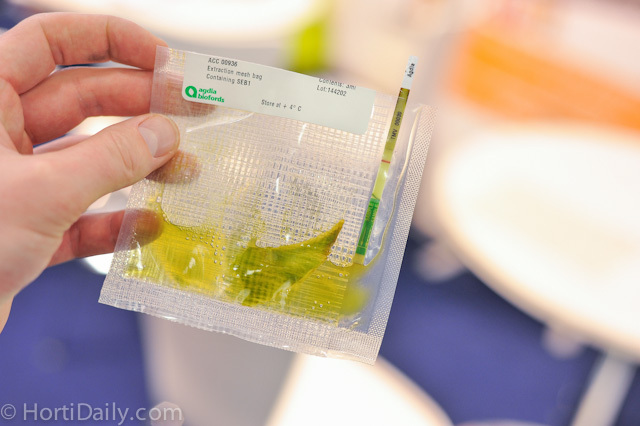 Ellegaard was at Fruit Logistica to promote the use and advances of the Ellepot system in stead of using poly bags. 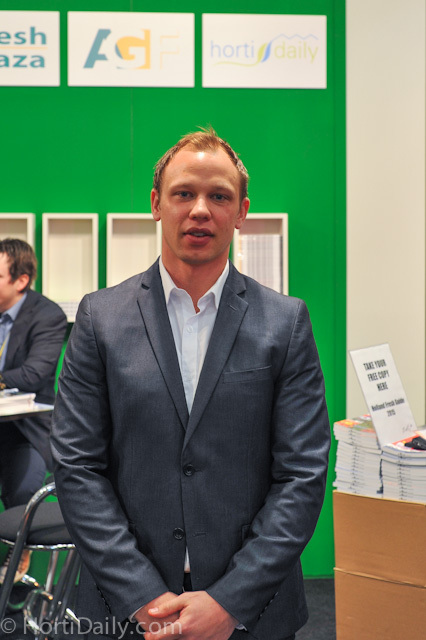 Tero Rapila of Green Automation Export at the booth of Herkuplast. 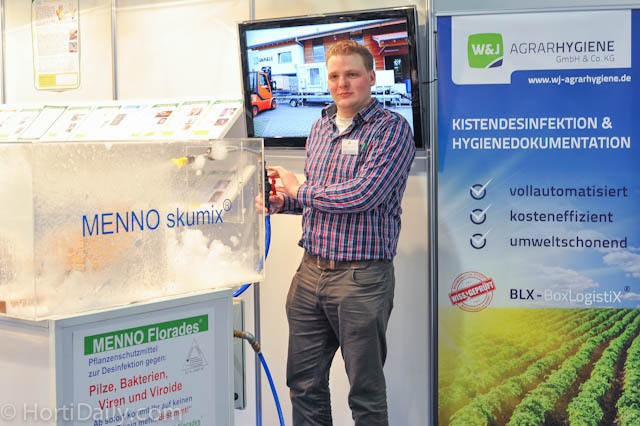 Thomas Wickenbrock of AgraHygiene demonstrating the Skumix treatment of MENNO Clean. 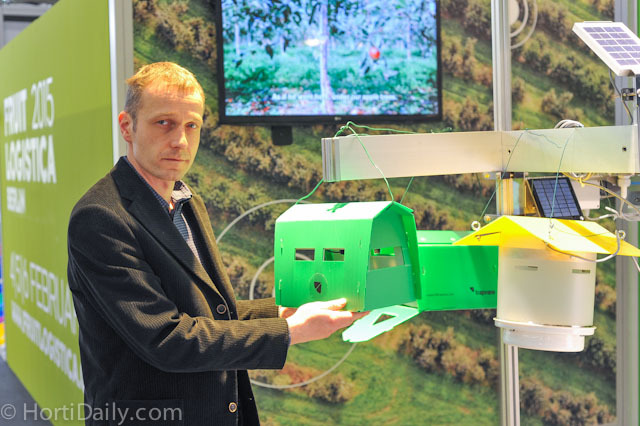 Peter Cebolki of EFOS with the innovative Trapview pest monitoring pheromone trap. 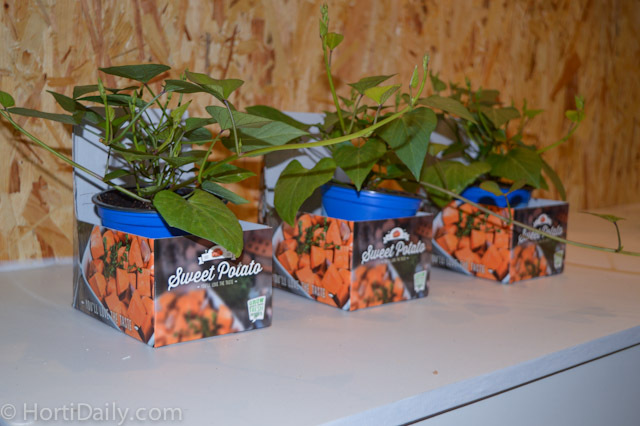 Innovations on display at the Slovenian pavilion in the City Cube hall. 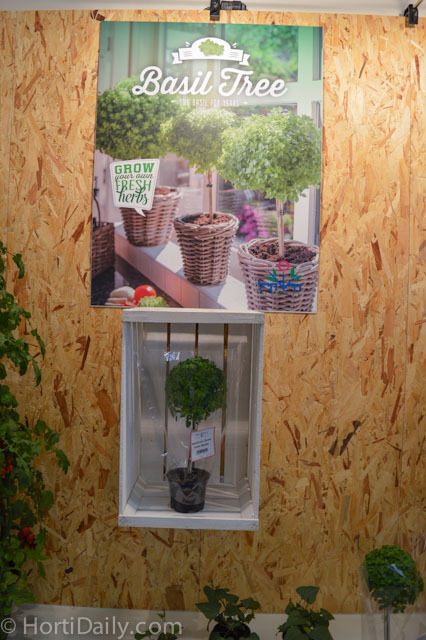 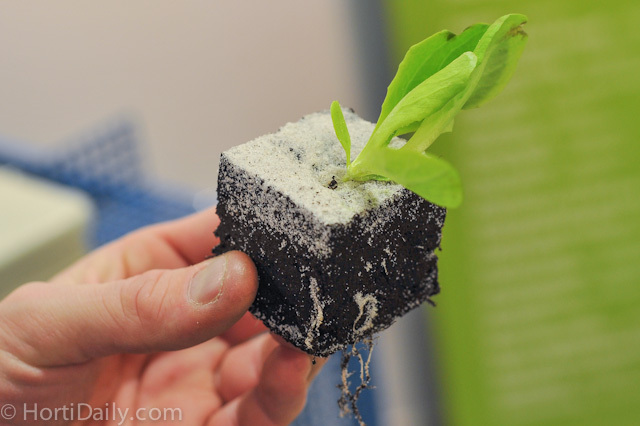 DutchPlantin launched a new video on the benefits of coir substrate slabs. 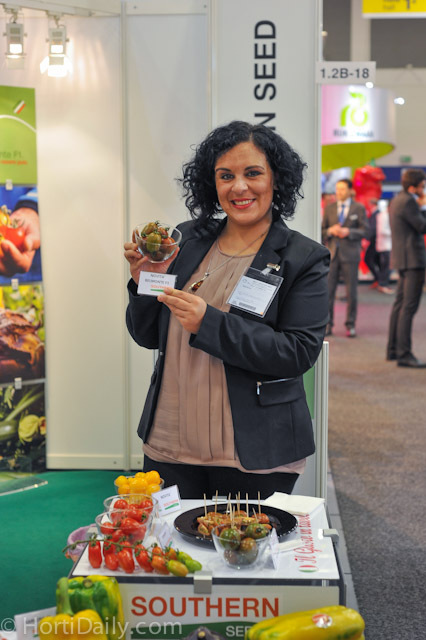 And again the ladies from Stelzner Pronovo with a special catch. 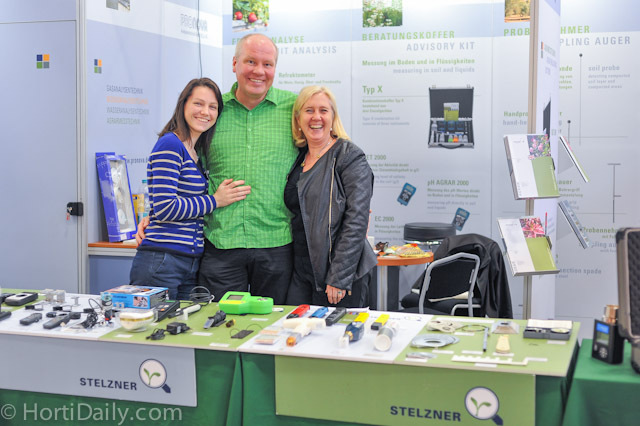 Maria Poma, Martin Kehlmann and Maaike Hamer. 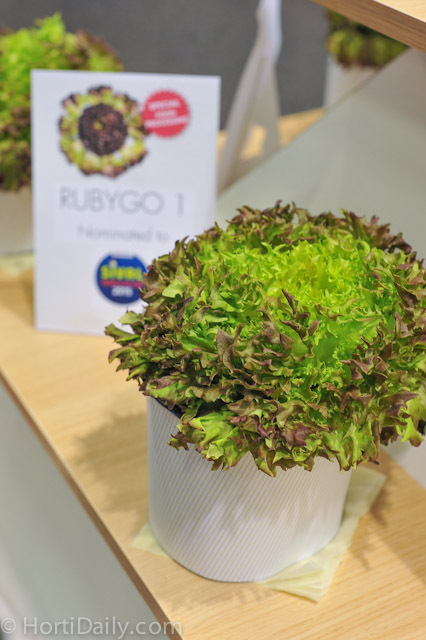 Gautier Seeds introduced RUBYGO 1 ; a very innovative lettuce variety that is tailor made for the processing industry. 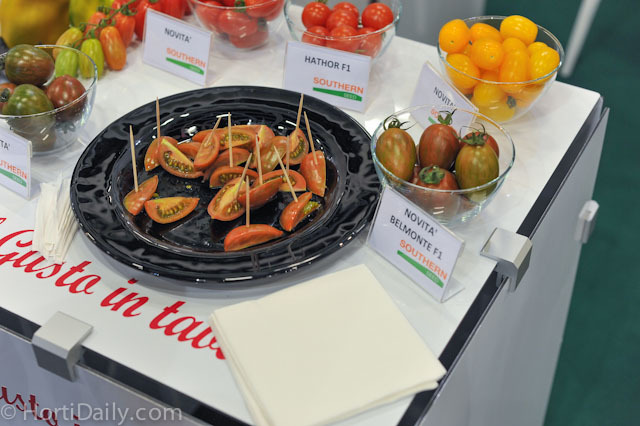 Belmonte F1 is a new plum shaped cocktail heirloom tomato from Southern Seed. 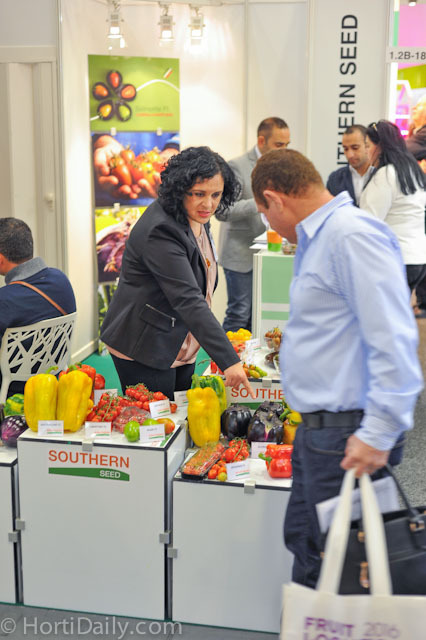 Marinella Inghisciano from Southern Seed with Belmonte. 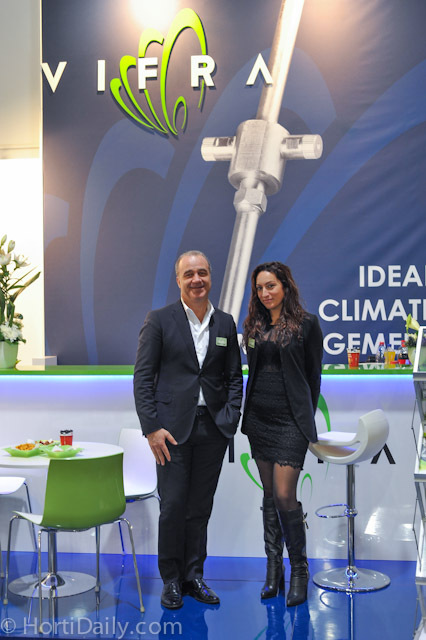 Vifra's Vincenzo Russo together with Antonella. 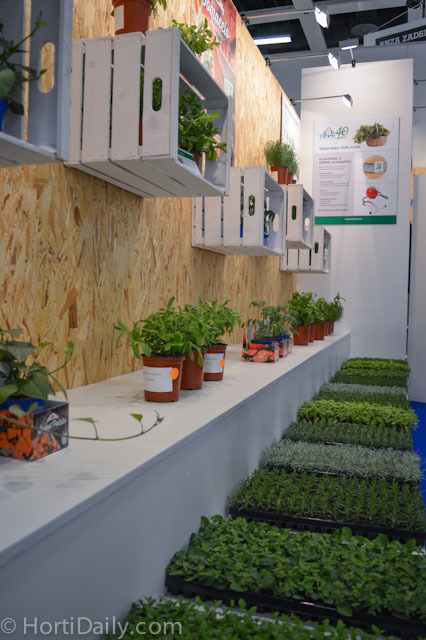 Also Russell IPM was present at the pavilion of the UK Commercial Horticultural Association to share their knowledge on solutions against Fruit Fly. 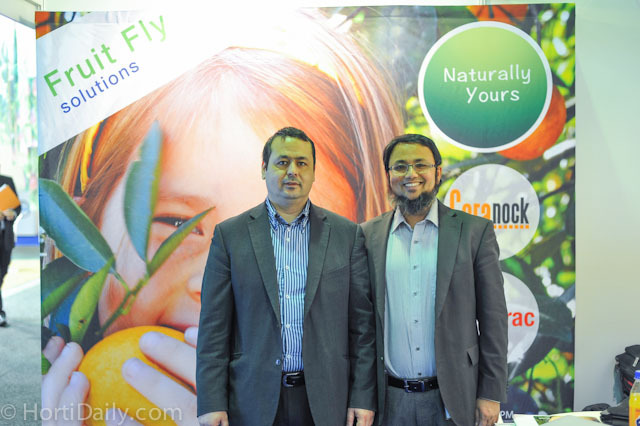 On the picture are Soliman Masaoudi and Mayem Hassan. 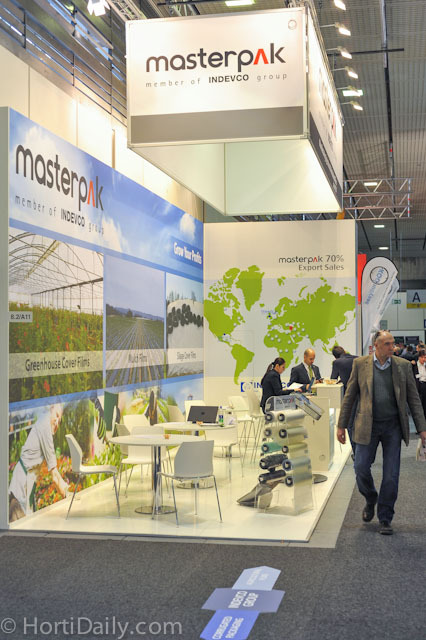 Indevco's MasterPak brand was also exhibiting at Fruit Logistica. 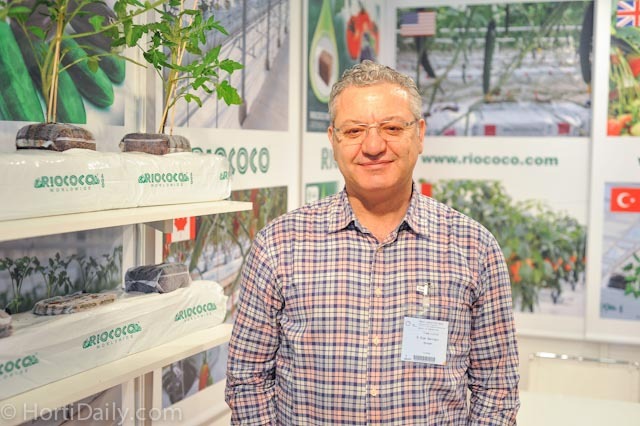 Despite the fact that they are building greenhouse projects all over the world non-stop, Ramon Bol and Henk Verbakel of Havecon still had a few spare days to visit the Fruit Logistica in Berlin. 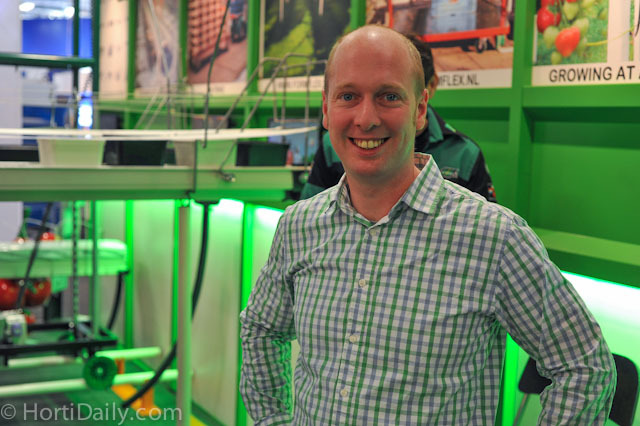 Boy de Nijs of HortiDaily.com is learning the latest about the most recent projects of Hortilux and P.L Light around the globe. 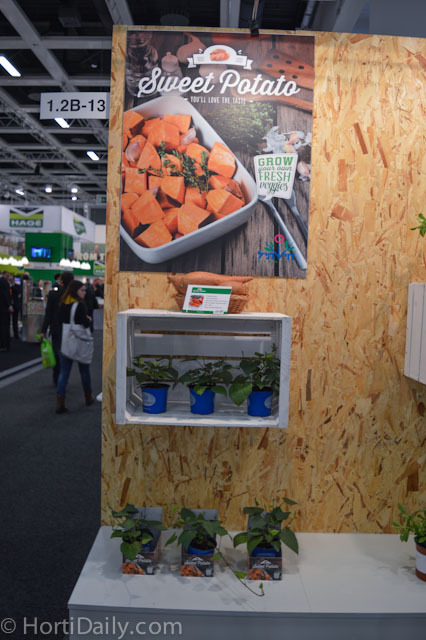 New HerkuPlast lettuce tray spotted at the booth of Urbinati. 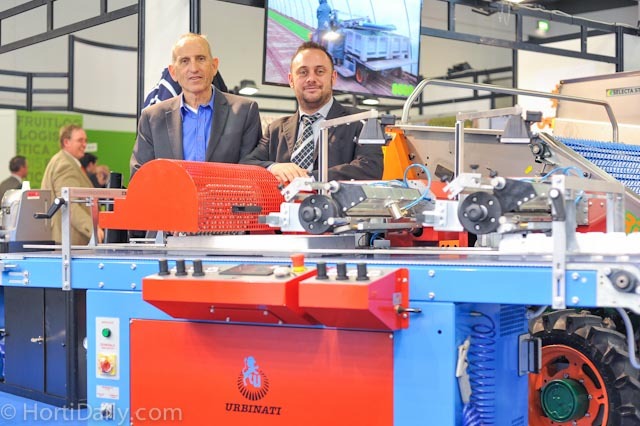 Israeli Urbinati representative Ben Amnon together with Alessandro Mazzacano from Urbinati. 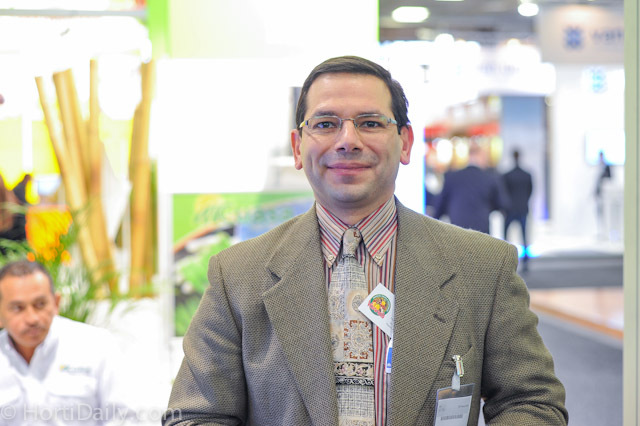 Pedro M. Cerrito from WiLinku Central America. 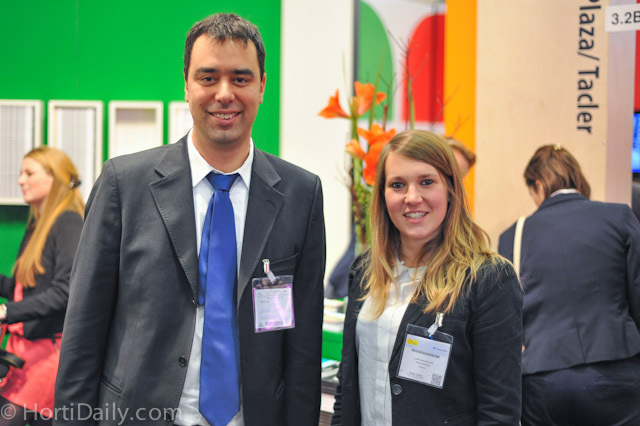 Lucie Crouzilles and Marcos Amato of Agdia Biofords had a booth at the French pavilion of Friday. 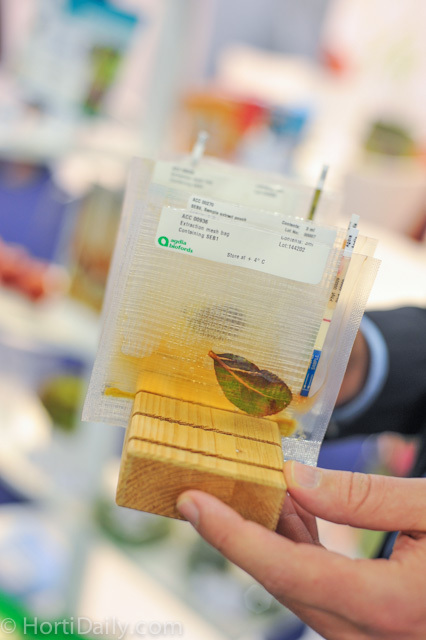 Portable, on-site, pathogen analysis by Agdia Biofords. 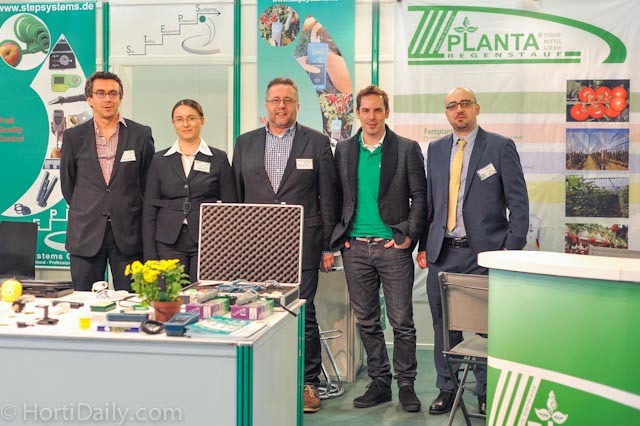 The team from Step Systems. 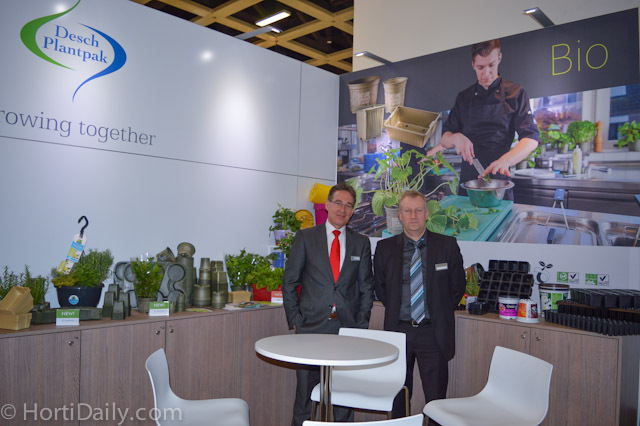 Wouter Zieck from Desch Plantpak and Matts-Erik Lindqvist from Hatec. 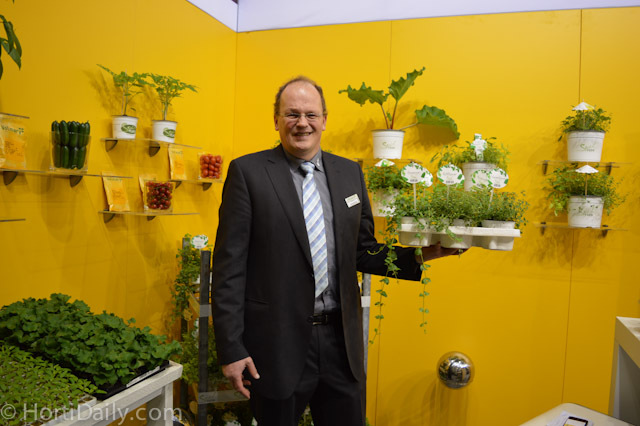 Matts-Erik Lindqvist from Hatec with the Slit pot from Desch Plantpack and the gutter of Hatec. 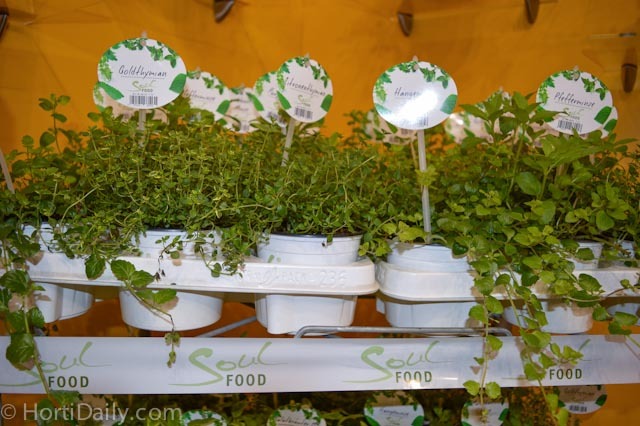 The new marketing concept of Volmary; the SoulFOOD. 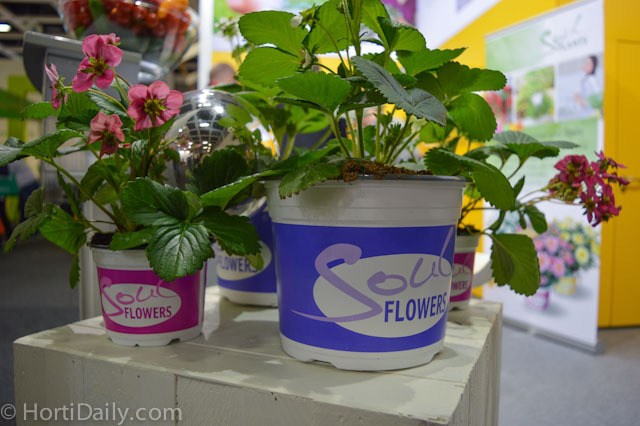 The new marketing concept of Volmary: the SoulFLOWERS. 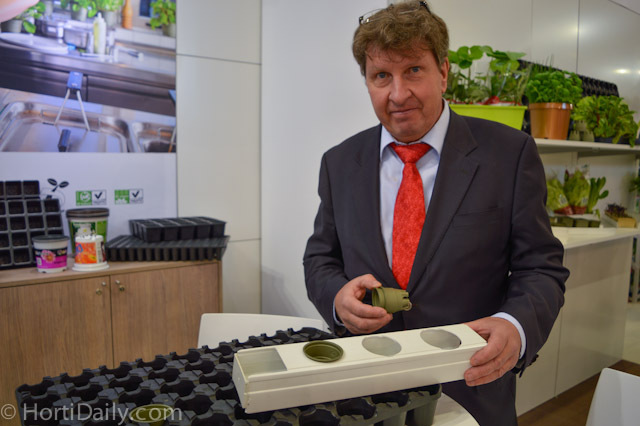 Prins, Stolze and Royal Pride together for the Horticultural Business School. 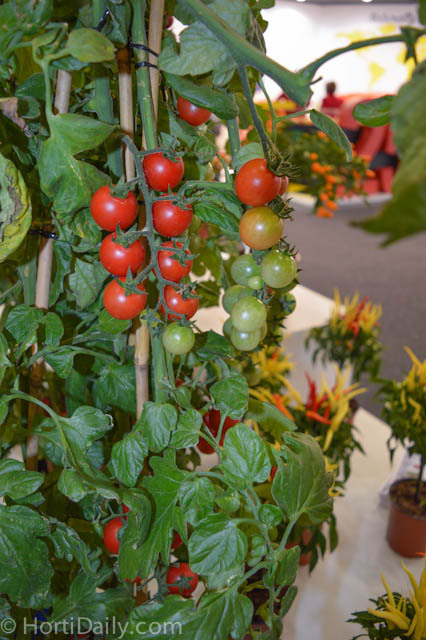 The vision of Horticultural Business School is that they have to work together to feed the world. 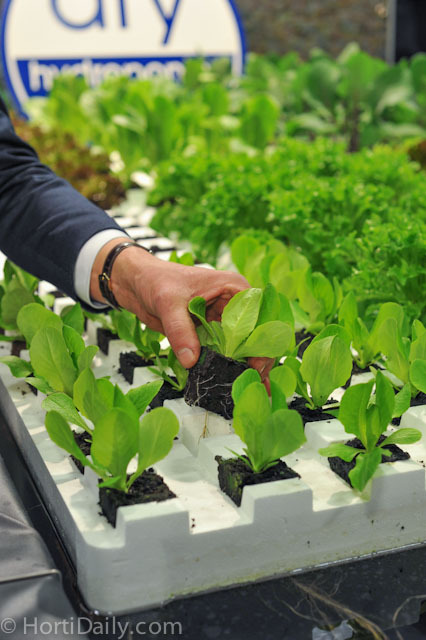 The mission is to play a role in the transfer of knowledge and skills in a practical way. 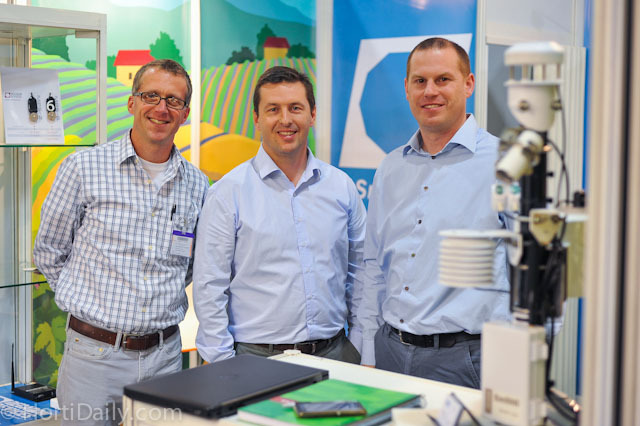 Jelle Hoogland and Paul van Gils of Mardenkro. 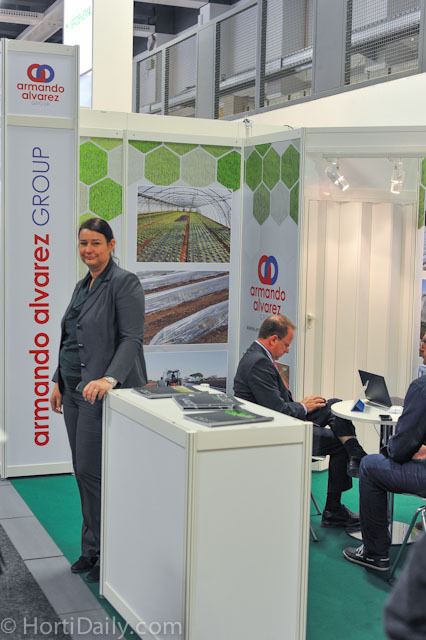 Lodewijk Wardenburg stopped for a short while the conversation to make this picture. 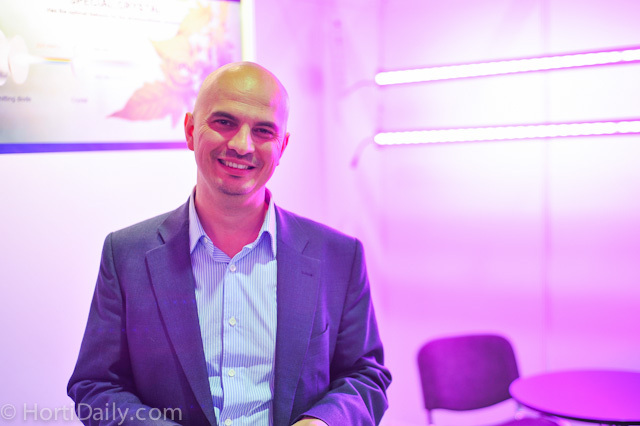 "Martine Boekestein and Florent Rezeau are proud to present the Sweet Palermo. 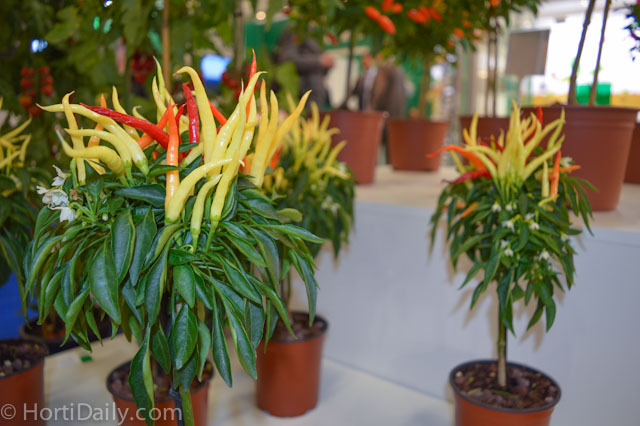 Florent: "It is a very smooth pointed pepper with a surprisingly sweet aroma and a so bite which scores very highly in taste tests. 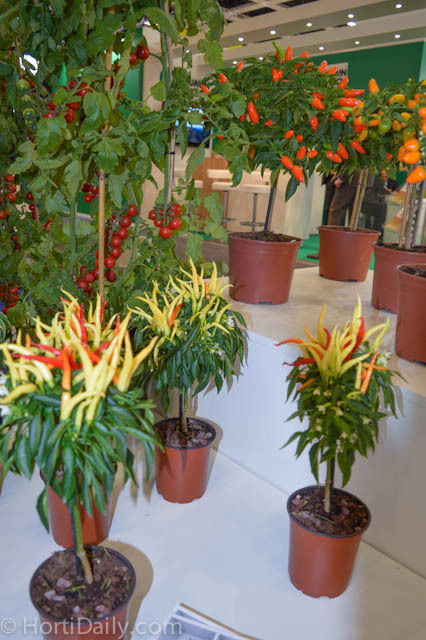 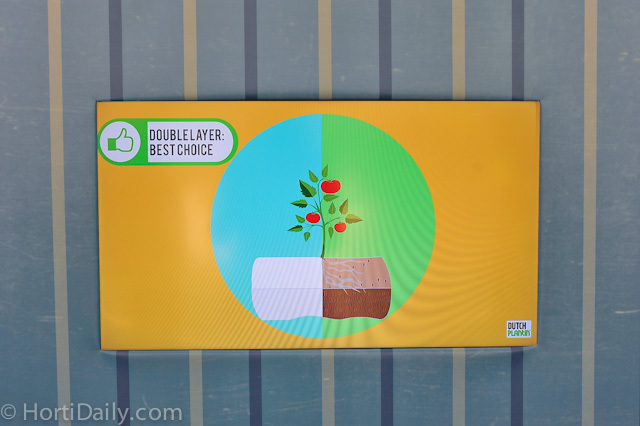 This new product marks a real innovation which is set to take the pepper category to the next level." 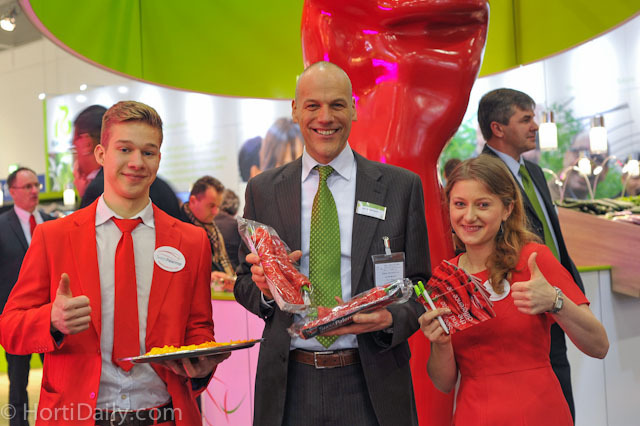 Pauline Komoronska, Berry Koppert and Hen van Gaalen of Gakon. 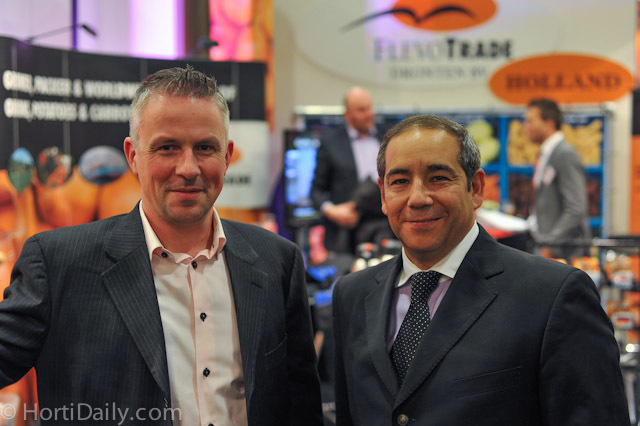 Edwin Sol of Buitendijk Slaman and Wim Zeelenberg of Greefa. 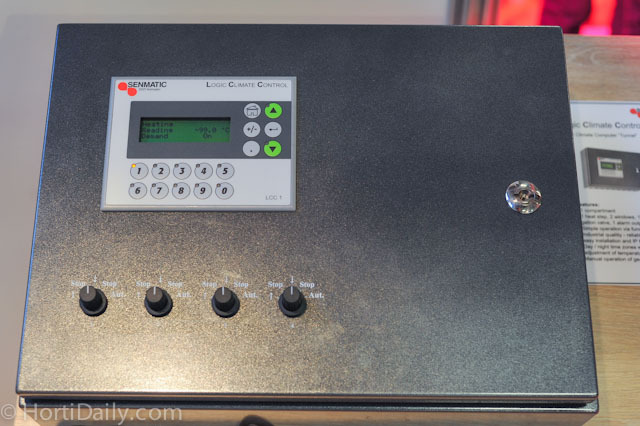 Arie Koppert of Koppert Machines is proud to present this new machine. 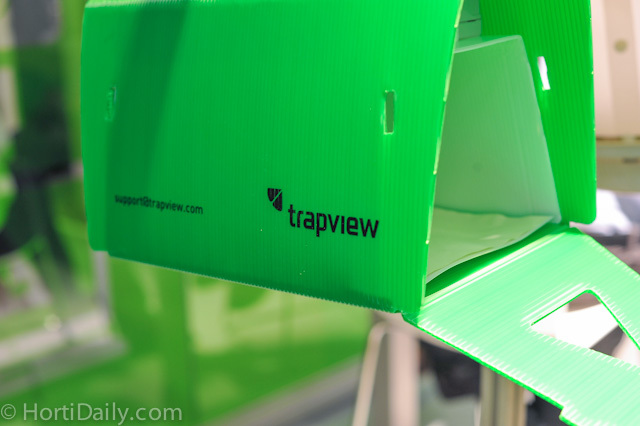 It handles all different kind of packages. 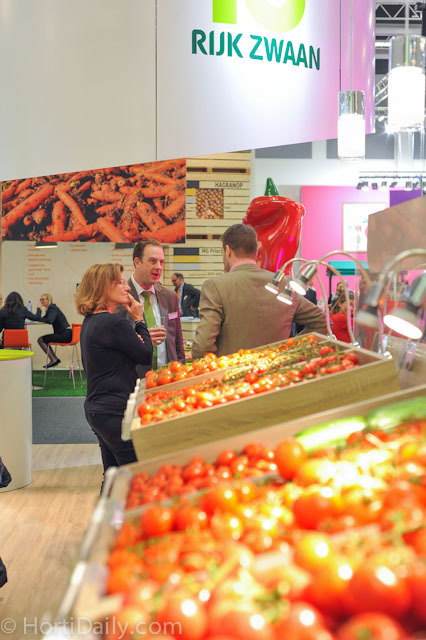 Frank Loos, retailer Albert Heijn, and Edith Lasonder, Bakker Barendrecht, showing their nominated product for the Fruit Logistica Innovation Award. 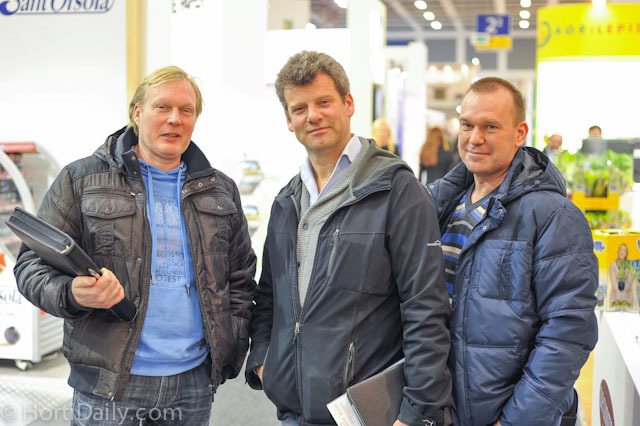 Kees Rodenburg and Marc Mens, Enza Zaden taking a walk around the fair. 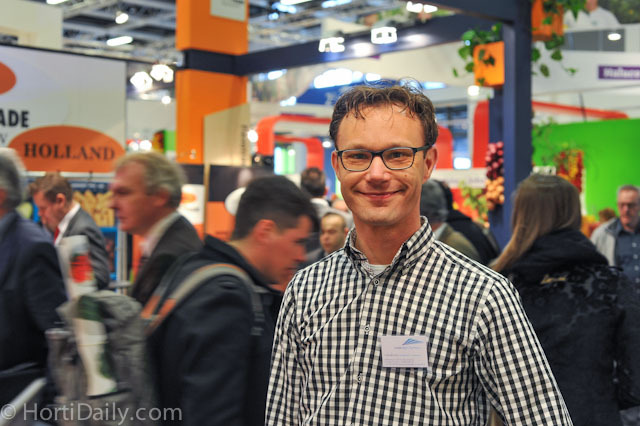 Kees van Dam, KOAT is a freshman on the Fruit Logistica. 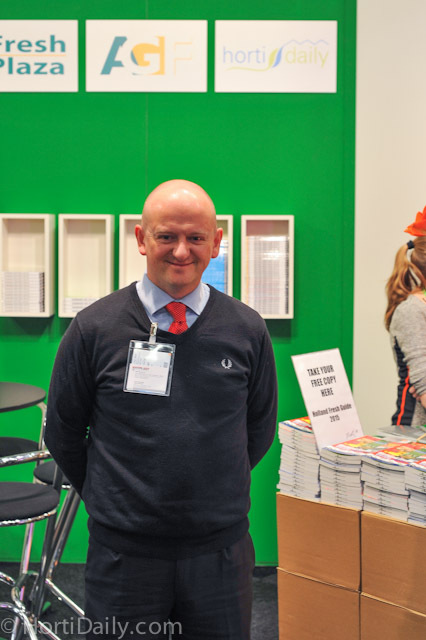 He's very pleased with the visitors. 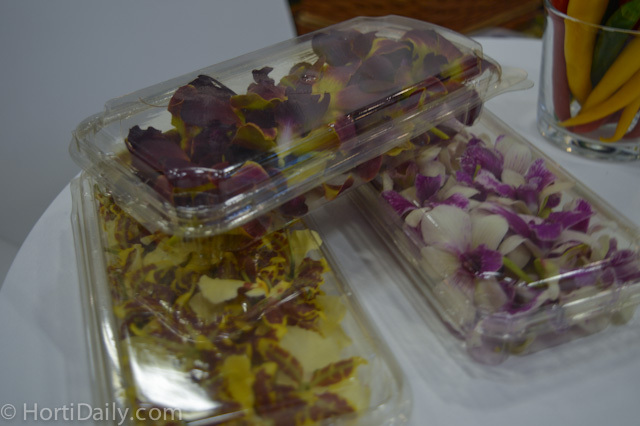 New Bejo-concepts, showing snack possibilities of many veggies. 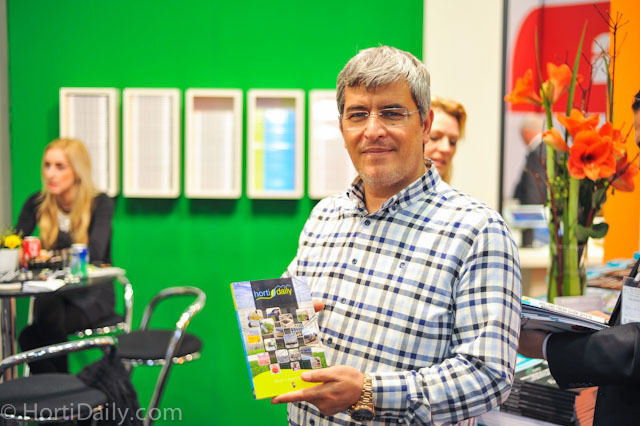 Spotted in the hallways: Dirk Mühlenweg, Knauf, with Christoph Stegemann, Kleeschulte. 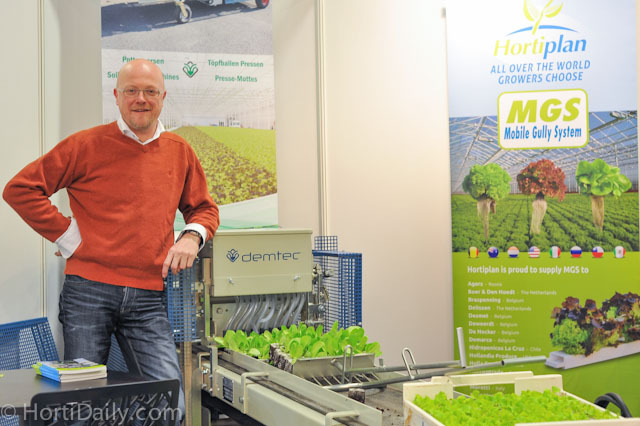 Brothers Martin en Rene van den Dool, Hortilux Schreder, our neighbours! 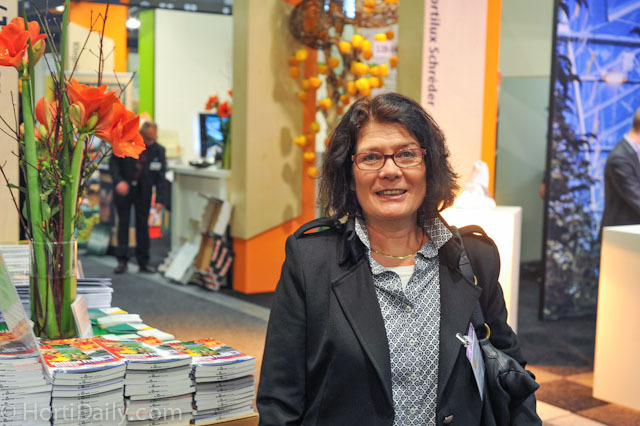 At Van der Hoeven the Ukrainian Anna Sichinskaya is there with Bob Hunsche en Daphne Kramer. 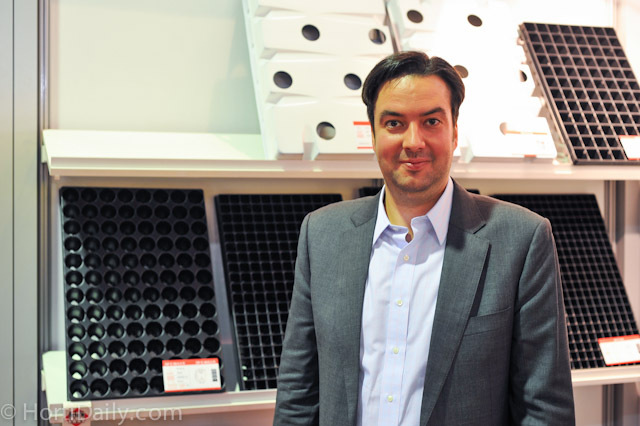 René van Meijel and Edwin van Antwerpen used to be colleagues at Enza Zaden. 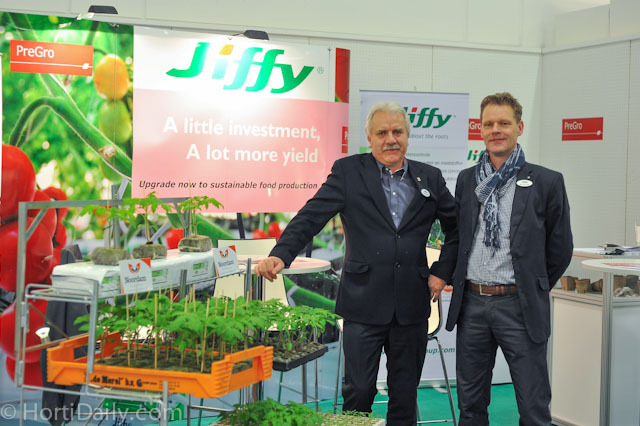 Jan de Visser, specialist spinach of Pop Vriend Seeds. 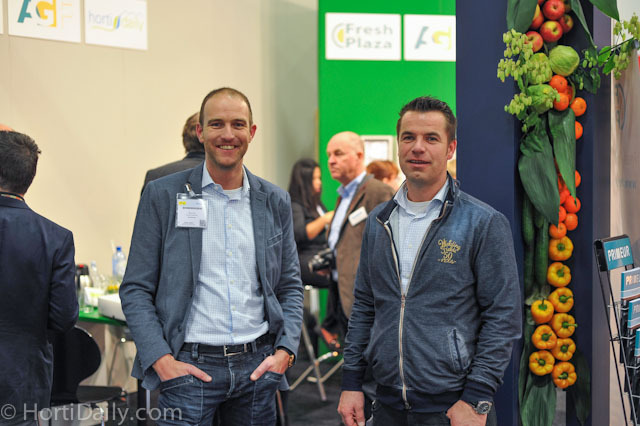 Michel Geraedts and Anja van Noort, ZON fruit & vegetables. 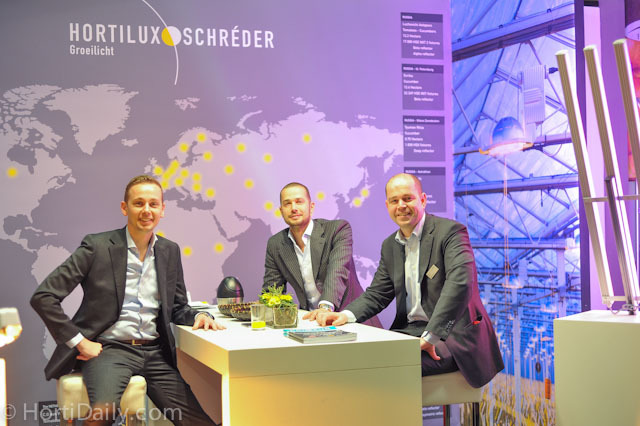 A fine exhibition for Marinus Geurtsen and Frans Neijenhuis, The Recruiting Specialist. 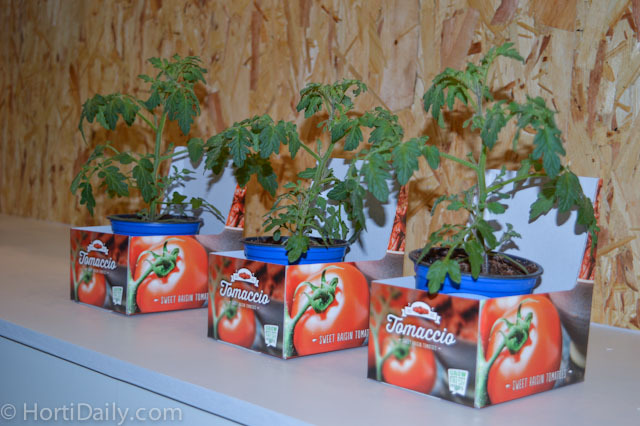 Can't resist the Enza Zaden snacking tomatoes! 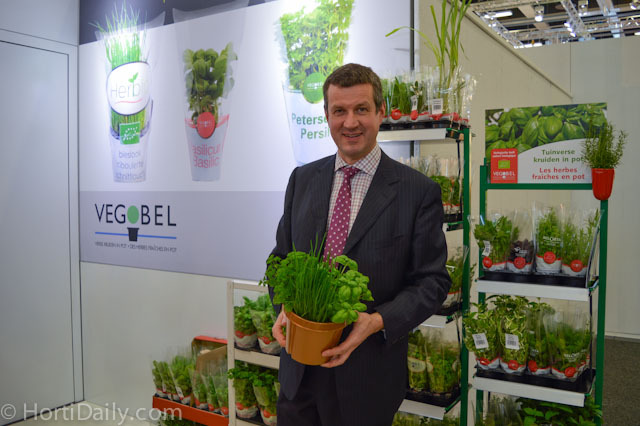 Erik de Beij and Pieter Jan Robbemont, Geerlofs. 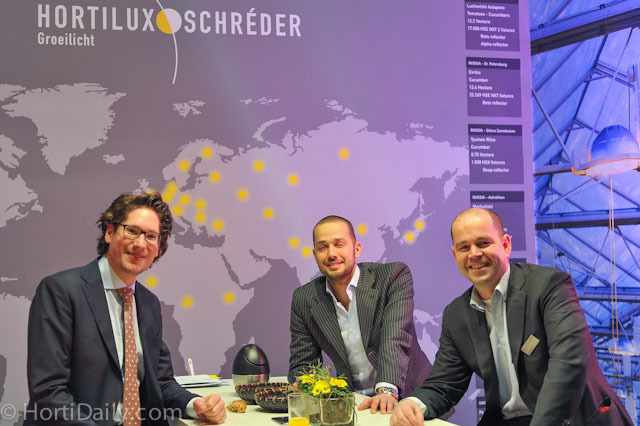 Johan Leffers, Guustaaf Hoekstra, Herman van Losenoord (Lets). 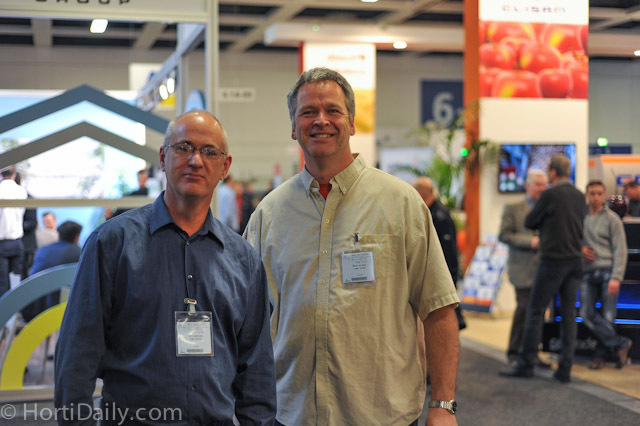 Rob Baan and James from Australia. 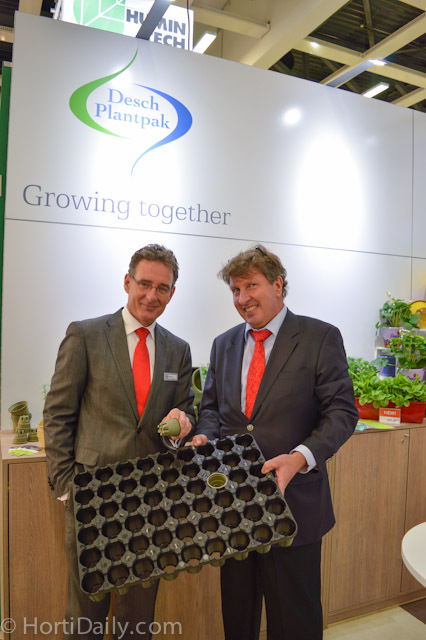 Robert Grootscholte, 4Evergreen with Dirk Gilhuis, Zeeland Seaports. 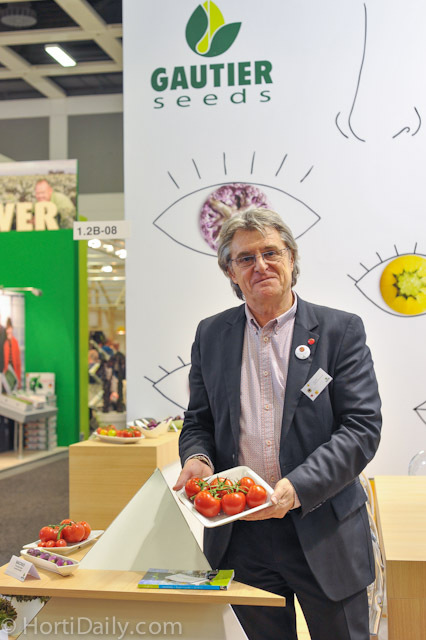 Piet van Vugt tells more about the building plans in Ridderkerk and the growing activities in Kenya and Spain.